There's an entire page full of images like this where people have taken their CAPTCHA (those annoying word verifications you have to do on lots of sites) into cartoons. Some are sort of duds but a lot of them are hiliarious. Love it! Lol. Thanks for the soupy link! Happy Christmas (or whatever you're celebrating at this time of year)! 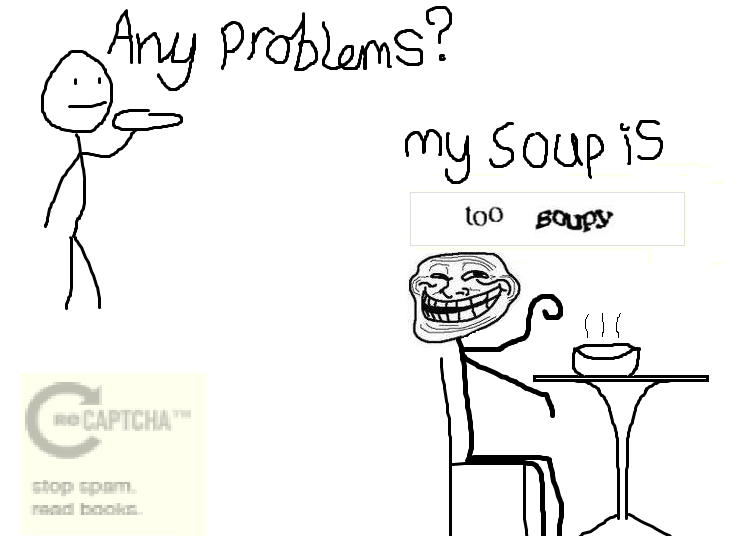 Too soupy... LMAO, I love captcha art.